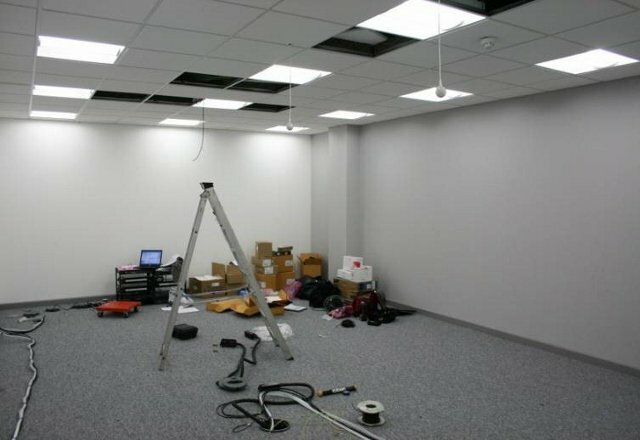 Whether you are looking to refresh your existing premises, relocate to a new site or equip purpose-built offices, Internet Videocommunications is uniquely placed to address all of your audio-visual needs from start to finish. 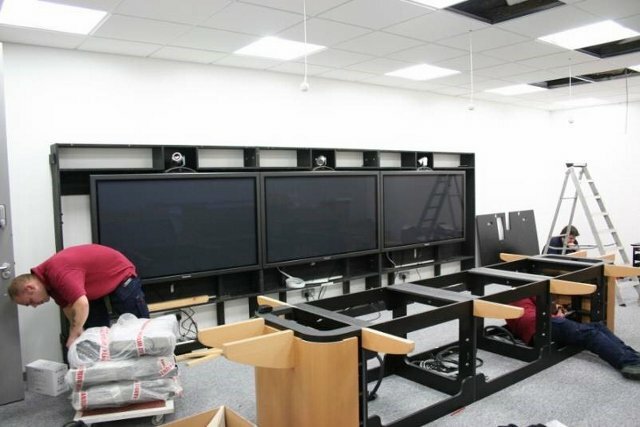 All of our audio-visual equipment is sourced from the best manufacturers to suit any budget and unlike most other suppliers, we do not subcontract services to 3rd party agents. Internet Videocommunications delivers every one of its services through its own highly qualified and experienced staff to ensure excellence so that the only surprise you'll get, will be in the quality of the service. Our in-house, fully qualified architect will produce detailed CAD drawings for each and every facility. We are also able to bring your room design to life and create a 3D true-to-life render of how your offices will actually look post project completion. Critical to the success of every project, Internet Videocommunications’ project managers are all Prince II qualified and hugely experienced in ensuring the audio-visual programme stays on schedule and the works are completed on time. The team is particularly well-versed in co-ordinating works alongside building and other site contractors. Communication is paramount throughout a project and Internet Videocommunications’ PMs are always on hand to provide regular updates by phone, by video and by weekly minuted team meetings. 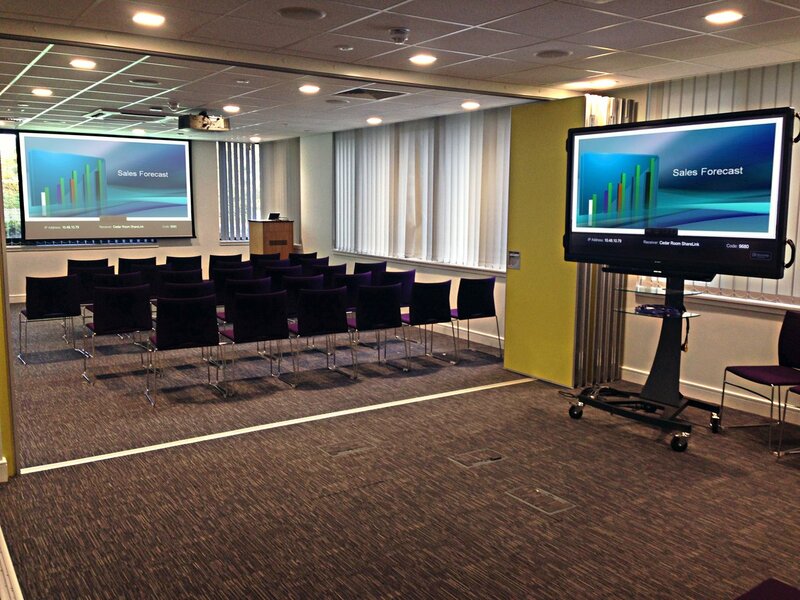 Enjoy the simplicity of operating all your meeting room facilities (including lighting, curtains and blinds) at the touch of a button, through a specially tailored user interface and branded specifically for your organisation. Internet Videocommunications’ software writers are skilled in a range of control-system programming languages, most notably AMX, Crestron and Extron. Internet Videocommunications’ team holds the highest levels of certification across the Audio-Visual and Video conferencing arenas. Our specialist engineering division has an unparalleled blend of industry awards and experience. The engineers are fully manufacturer trained and pride themselves on ensuring a smooth installation and a high quality finish. A vast range of training and familiarisation courses are available and may be delivered on-site and even by remote video distance learning. Whether you need high-level training for executives or in-depth super-user training for technical staff, programmes may be tailored to suit your organisation and backed up with supporting materials for the conference rooms and for your intranet. 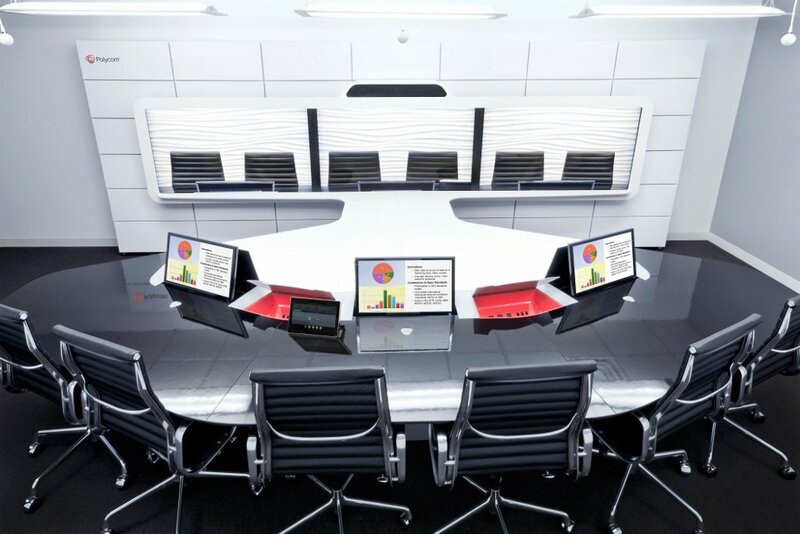 Have the need to video conference but not often enough to invest in fully kitting out your office? 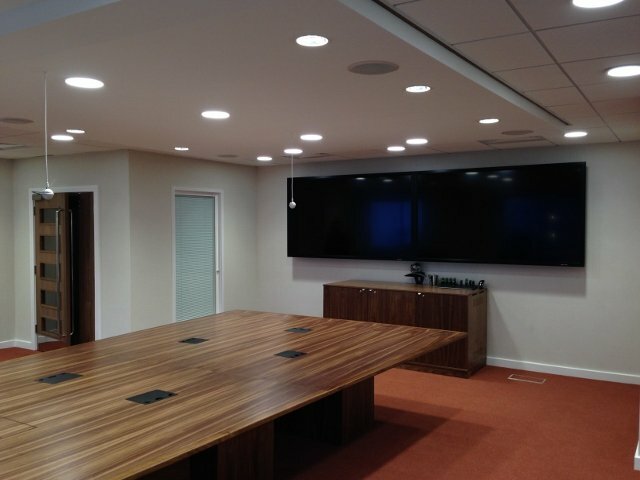 No need for re-fits, builds or instruction manuals; we can make video conferencing work for you. 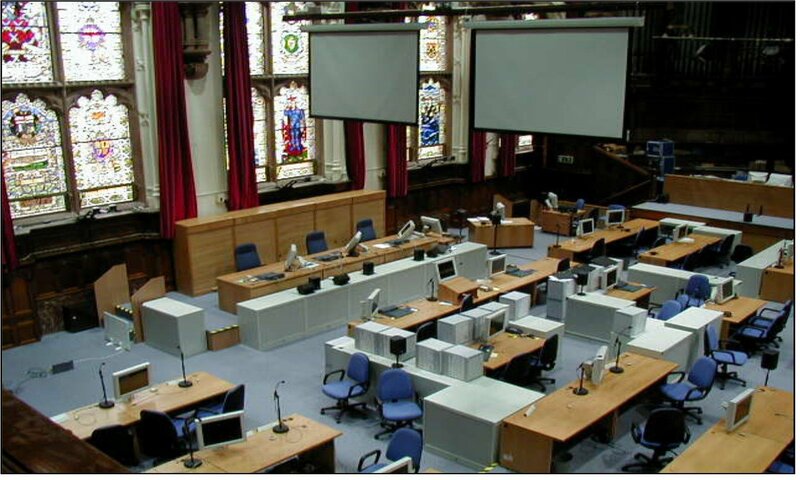 Internet Videocommunications can offer temporary or long term hire of audio-visual and video conferencing equipment along with the technical support to install it for you. Even better, to ensure complete peace of mind, we can arrange to have one of our experienced engineers remain on site at your venue throughout the conference to run and manage all technical aspects of your meeting. It couldn’t be easier, and all from the comfort of your own office. 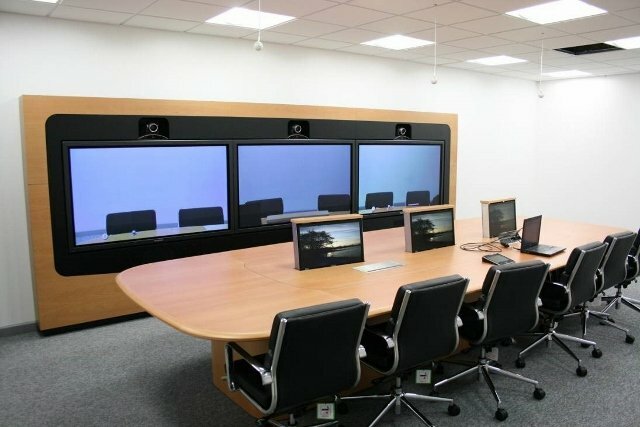 For important events such as company announcements, financial results and press briefings which require Video conferencing, special presentation facilities, sound and lighting systems and other audio-visual equipment, Internet Videocommunications’ team of experienced consultants and technicians are here to help. We look in the first instance to understand in detail your organisation’s needs and objectives for the event itself. In the majority of cases it is necessary to survey the venue. We will then work with you on a design to fulfil your brief following which Internet Videocommunications’ installation team, under the direction of one of our dedicated project managers, will set up and manage all the audio-visual elements of the event from start to finish. For many years Internet Videocommunications has been called upon to provide expertise for countless high-profile events – sometimes at very short notice – always delivering quality, reliability and professionalism. Internet Videocommunications also offers specially-equipped meeting rooms for hire, all set-up with presentation facilities and video conferencing. We have a range of different size rooms to suit and these can be made available to you at a click of a button. A brilliant job! It's been a pleasure working with you. The true professionalism and dedication to your work is to be commended. Internet Videocommunications' outstanding technical expertise has delivered the ideal solution. I really like the attention to detail. You certainly go the extra mile and it is very much appreciated. A great job from start to finish. A complete pleasure to work with. Superb, extremely friendly, professional and the work is second to none.